WASHINGTON (AP) — Climate change is already hurting American farmers and rural residents, Agriculture Secretary Tom Vilsack said Wednesday, warning that the U.S. would regret any failure to adapt and prepare for shifting weather realities. Unveiling a new effort to coordinate the government's response, Vilsack said extreme weather events have already taken the U.S. by surprise, putting ranchers and others out of business. He pointed to the intensity and frequency of recent storms, long droughts, snowstorms and subzero weather as evidence that climate change is no longer hypothetical or in the future. "The combination of all those factors convinces me that the climate is changing, and it's going to have its impact, and will have its impact, and is having its impact on agriculture and forestry," Vilsack said. Pine bark beetle that in years past were killed off during harsh winters have now infected about 45 million trees in western states, leading to more severe forest fires, posing flood risks and threatening the timber industry, Vilsack said. In the absence of adequate forecasting and disaster assistance, he said, an October snowstorm wiped out entire cattle operations in the Dakotas. "When that snowstorm hit, it didn't wipe out just a few animals. 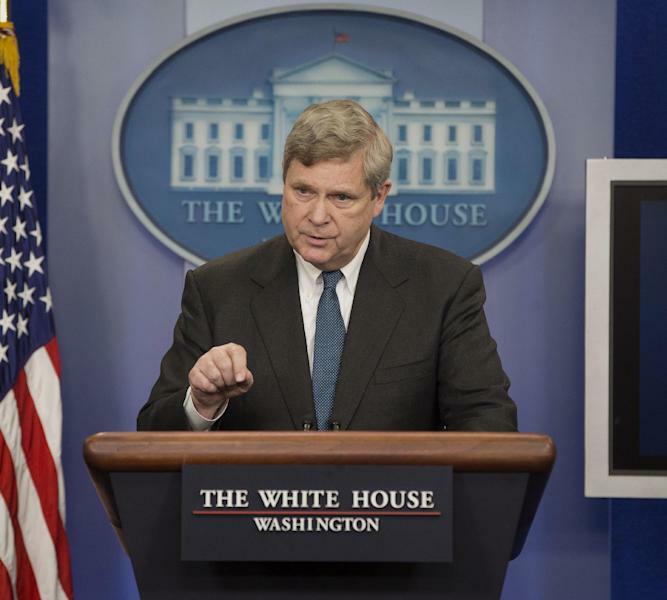 It wiped out the entire operation," Vilsack said. "Nobody anticipated and expected that severe a storm, that early." To that end, the Obama administration said seven new "climate hubs" will open in regions across the U.S., acting as clearinghouses for data and research about effects of climate change. Based out of existing Agriculture Department facilities, the hubs will assess local climate risks, such as drought and wildfire, then develop plans for dealing with them, such as improved irrigation techniques. The goal is to synchronize the federal government's preparation and resources with what other entities, such as universities, tribal communities and state governments, are doing to prepare for shifting temperatures. "It's taking existing avenues, research service or forest service, and charging them with a new responsibility to basically take a look at precisely what risks are currently being recognized and what's the vulnerability to agriculture and to forestry in each region of the country," Vilsack said. 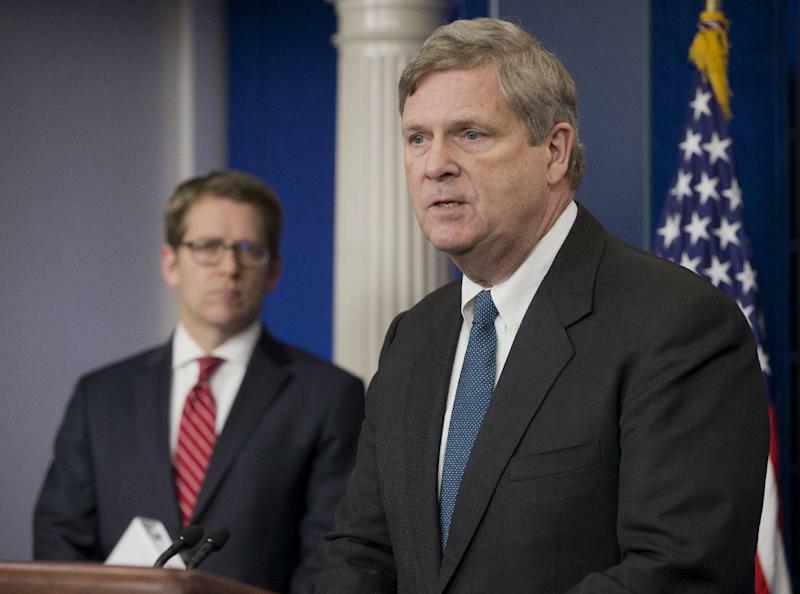 Vilsack disclosed the locations for the new hubs, which were announced last year and included in Obama's broader climate change plan. The seven regional hubs will be housed in forest service stations or government research labs in Ames, Iowa; Durham, N.H.; Raleigh, N.C.; Fort Collins, Colo.; El Reno, Okla.; Corvallis, Ore.; and Las Cruces, N.M. Three smaller "sub-hubs" will be created in Houghton, Mich.; Davis, Calif.; and Rio Piedras, Puerto Rico.